Sarah Stern is founder and president of the Endowment for Middle East Truth (EMET), the foremost pro-Israel, pro-American think tank on Capitol Hill. Her regional expertise, hands-on knowledge of the issues, and personal relationships with Members of Congress, have enabled her to shape U.S. policy towards the Middle East over the past two decades. She advises top policymakers regularly on issues ranging from Iranian nuclear proliferation to negotiations with the Palestinian Authority. Sarah has worked closely with congressional leaders from both sides of the aisle to educate policymakers about the Middle East and the joint threats that America and Israel face in the region. 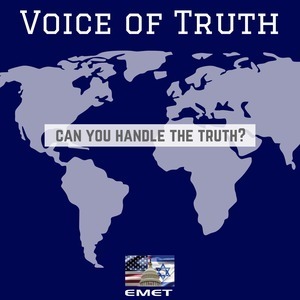 “Under the leadership of Sarah Stern, EMET has been truly a light in the darkness, in the trenches, defending the truth,” said Israel’s Ambassador Ron Dermer. Sarah has testified in Congress, and has been instrumental in the passage of many pieces of legislation, including ones that: hold Syria accountable for President Bashar al-Assad’s genocide; support Israel’s right to build a security fence to prevent terror attacks; seek justice for American victims of terrorism; and help correct the anti-American and anti-Israeli biases in the Middle East Studies programs at many U.S. universities, among other issues. On Capitol Hill and beyond, Sarah has monitored the Palestinian Authority’s failure to live up to the Oslo Accords and subsequent agreements; advanced U.S. military assistance for America’s allies in the Middle East; exposed Hamas’ infiltration of UNRWA schools; gave voice to oppressed religious minorities in the Muslim world; campaigned for reform of the United Nations; exposed some of the fundamental flaws of the Iranian nuclear agreement and advocated for energy independence for the free world. Before founding EMET in 2005, Sarah coordinated national policy at the Zionist Organization of America, and directed legislative strategy at the American Jewish Congress. Sarah’s work has appeared in The Washington Times, The New Republic, The Jerusalem Post, The Middle East Quarterly, American Thinker, The Times of Israel, Israel Today, and a number of other publications. Sarah is the author of the highly acclaimed book, Saudi Arabia and the Global Islamist Terrorist Network (Palgrave MacMillan, 2011), and Cherished Illusions (Balfour Books, 2005). Sarah Stern has been a guest on 1 episode.